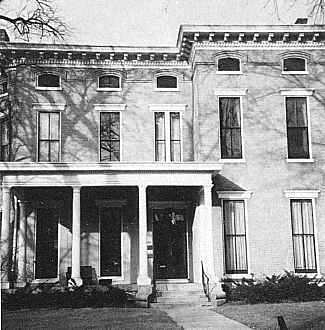 Italianate was introduced into the united states in the mid 1850's and is very much in evidence in Old Louisville. The Italian Villa symbolized an important departure from previous residential styles because of its asymmetry and flexible floor plan. Italianate homes are square and rectangular shapes and lines with low-pitched or flat roofs. Elaborate cornices and brackets can be seen along with square pillared verandas. 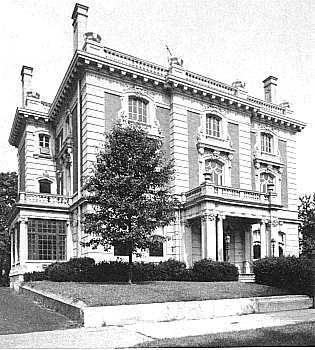 Italianate houses were built into the very early 20th C.
Renaissance Revival/Georgian Revival is similar to Italianate in origin but more formal in appearance. Homes, such as the Landward House, typically have monumental entrances and can be dated from 1880 to 1900. 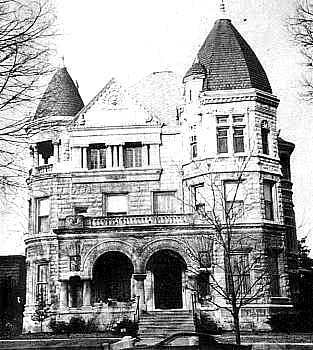 Richardsonian Romanesque is named for Henry Hobson Richardson, a brilliant 19th century architect. 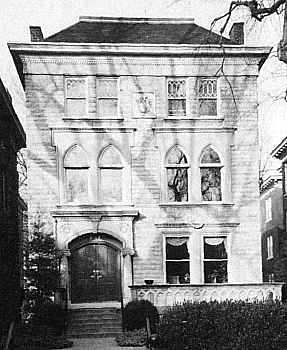 The term "Romanesque" comes from the use of heavy rounded (or Roman) arches around doors and windows, as can be seen in many homes in Old Louisville. The most elaborate of these structures include towers and turrets, while others feature rounded bays. The massive heavy quality of Richardsonian Romanesque gives it a striking appearance. 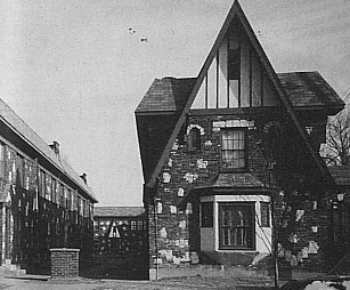 These homes were built between 1880 and 1900. Queen Anne, imported to the United States around 1876, became one of the most popular styles of the Victorian era. 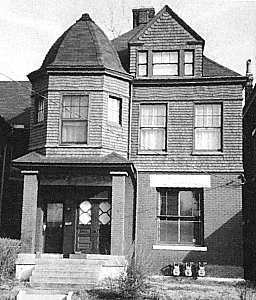 The Queen Anne's feature beautiful ornamentation, picturesque rooflines, and a variety of surface variations or planes. Their turrets, towers, high chimneys, and oriel and bay windows reflect the romance of the turn of the century. 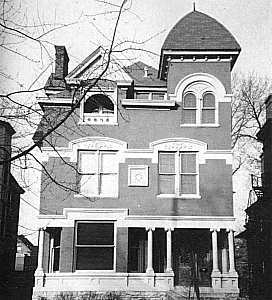 In Old Louisville, the Queen Anne's were built between 1875 and 1900. Chateauesque is a French-inspired style characterized by steep-pitched gables and high pointed roof dormers. 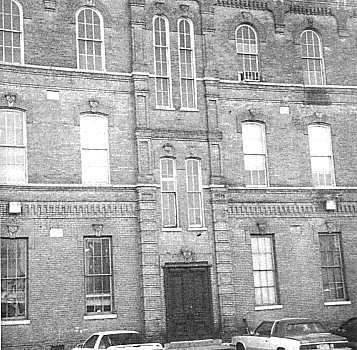 An example is the grouping at Fourth and Hill Streets. These were built around 1897 and have heavy ornamentation. Tudor has identifying characteristics of steeply pitched roofs, prominent cross gables, decorative half timbering, tall narrow windows in multiple groups, and massive chimneys. These were popular in the 19teens and 1920s. 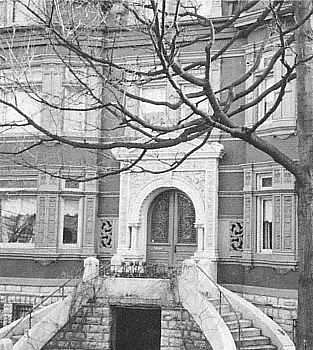 Beaux Arts is identified by a symmetrical facade with decorative garlands or floral patterns. Walls are of masonry with the stonework joints exaggerated. Most of these date right around 1900. Craftsman and Bungalow are a styles with a low-pitched, gabled roof and a wide, with unenclosed eaves overhang. False beams or braces are present and the porch is supported by square columns or pedestals. More ornate examples can date from the first decade of the 20th Century, but the form persisted in various forms until the 1930s & 40s. 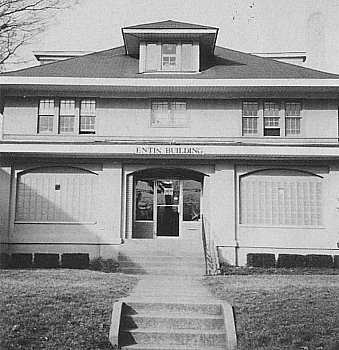 "Shotgun" houses are those with each room directly in line with the other before. The front and back doors along with the doors in each room, are in alignment. If someone were to fire a shot through the front door, and all doors were open, the shot would pass completely through the house and out the back door. 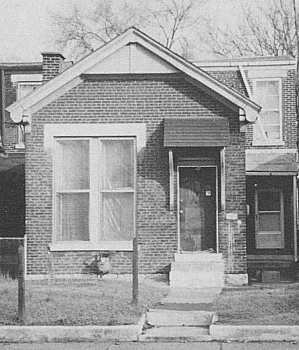 This description is not the rule for all "shotgun" houses; some have rooms not in line with each other. Eclectic architecture is a representation of many Victorian styles in one dwelling.